Home » Ryan's band "Dismal"
"Dismal", the band Ryan was a member of, began playing together in 1998. The four members, who ranged in age from 21 to 23, were more than musicians; they were devoted friends whose different techniques combined to form a unique sound. 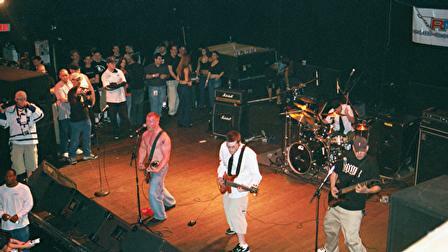 "Dismal" was ranked one of the top three bands out of the 20 or more bands that played the Gas Chamber Records "Battle of the Bands" in 2002 at the Palladium in Worchester, MA. (pictured). 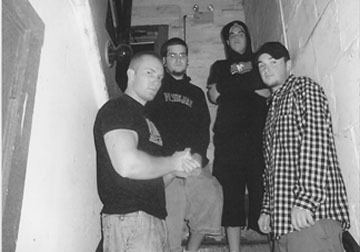 Following the show, Dismal received airtime on the radio station WAAF in Boston, and went on to release their CD "The Privilege of Breathing". On July 26, 2003 writer Matt Reno from Epinions.com posted an article he wrote about Ryan and the band. You can read that review and other remarks here.